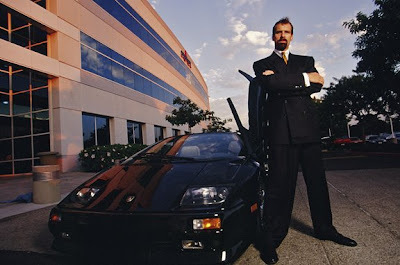 Former Broadcom CEO Henry T. Nicholas III was indicted today on 25 counts of securities fraud and conspiracy to distribute and possess drugs by the US Government. Nicholas is accused of spiking some of co-workers drinks with Ecstasy, MDMA, and also hired prostitutes for himself and other Broadcom customers and associates. He had a taste for the highlife which included buying private jets and expensive sports cars. The indictment also states that Nicholas and others smoked "extensive amounts of marijuana during a flight on a private plane between OC and Las Vegas, causing marijuana smoke to enter the cockpit and requiring the pilot to put on an oxygen mask." He was also a work out freak and would often stay up for days on end working out and partying. Bail was set at 3.4 million dollars because Nicholas is considered a major flight risk. The 48 year old is estimated to be worth 1.5 Billion dollars. His company, Broadcom, is one of the world's top chip makers for use in cell phones and wireless internet devices.